Comedians Ayako Tomita and Frédéric Perigaud performing in L’Homme Qui Marche. For over 35 years, Christiane Véricel has been uniting actors of different cultures, backgrounds and ages on stage. Her wish? A simple desire to meet peers and live and share theatrical experiences. Participants include children, teenagers and adults, amateur actors and professional performers, citizens of her native country, France, and foreign nationals, living abroad or in their land of refuge. Everyone speaks their native language, creating an understanding through new forms of language – voice intonation, facial expressions, body language, images, music and emotions. Each person expresses their own personality and their culture to create an innovative performance. 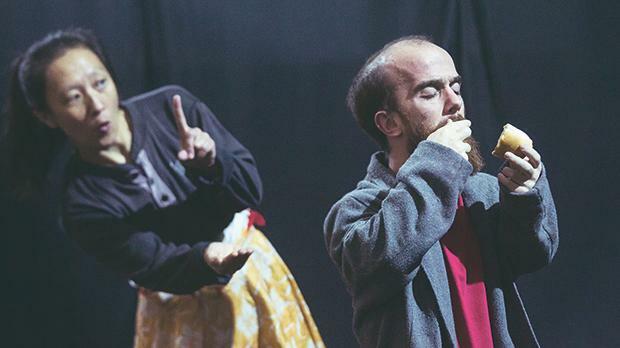 This is the concept behind French theatrical company Image Aiguë, which tomorrow is presenting the show L’Homme Qui Marche (walking man) in Malta as part of the ŻiguŻajg festival. 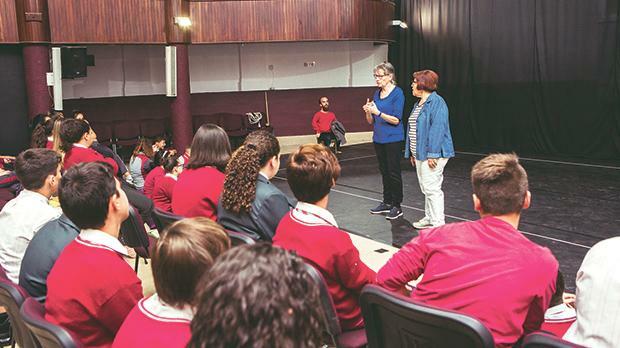 The performance forms part of what has been titled the Preca Project, as the troupe has been conducting specifically-devised dramatic arts workshops with students of the San Ġorġ Preca College. 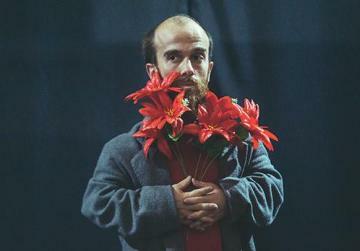 The students were involved on two levels: they were the first local audience members of the show, so through their reaction and comments, they helped the production team make the themes more relevant to the Maltese audience; and some of them were engaged as actors for the performance. Their feedback has been very positive. “Our approach is quite new to them and they are very enthusiastic,” remarked Ms Véricel, who is the artistic director of the show. Storylines are also developed together with the work-shop participants. “We work from a repertoire of simple ‘universal’ situations. For example: two characters want to sit in the same chair: will they fight over it, try to seduce the other or share the small space? In the workshops with the young actors, these situations are developed to become stories,” Ms Véricel explained. L’Homme Qui Marche, produced by Nicolas Bertrand, features comedians Ayako Tomita and Frédéric Perigaud and music by accordionist Gérald Lapalus. Its four storylines deal with borders and how to share a territory and live in it. “One important theme is the relation that arises from those who own something [whether it is a space, breadcrumbs, a crown…] and those who don’t. We treat these topics with humour,” said the artistic director. After the stories are presented, the audience is engaged in a discussion, thus their perceptions become part of the performance. The end result could, in fact, be described as a “theatrical conversation”. “I suggest, question, ask without providing answers myself to encourage the spectator to think again with vigilance, precision and to express themselves according to their references. Much as proposed visions support the reflection and feed other spectators’ observations,” Ms Véricel said. 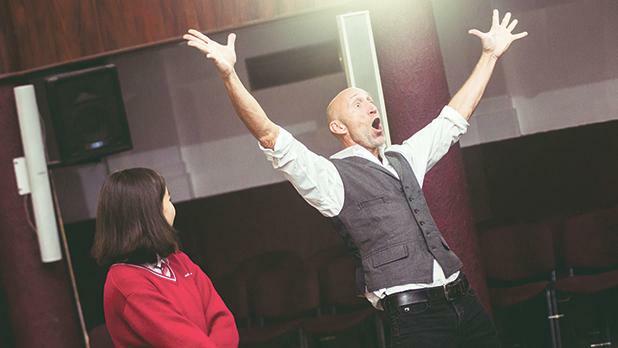 These workshops and performances aim to leave an impact on all the participants involved and their scope goes beyond the physical boundaries of the theatre and the show’s duration. “The ultimate aim is to encourage a better participation of children and adolescents as active citizens,” Ms Véricel pointed out. 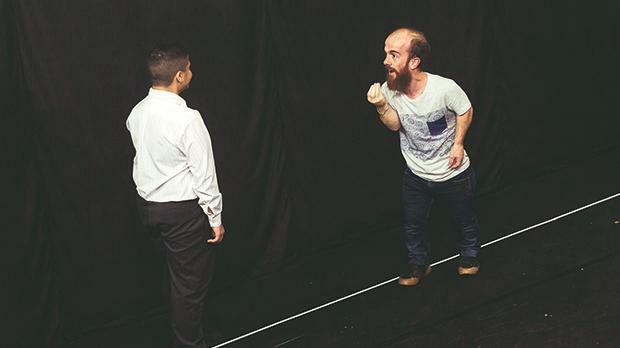 “Theatre is a question of relations between audience members and those performing on stage, as in society we should engage in a dialogue with our peers. L’Homme Qui Marche is being staged tomorrow as part of the ŻiguŻajg Festival at Ħamrun Secondary School at 5.30pm. It is suitable for children aged over 12. For tickets, visit http://teatrumalta.org.mt. 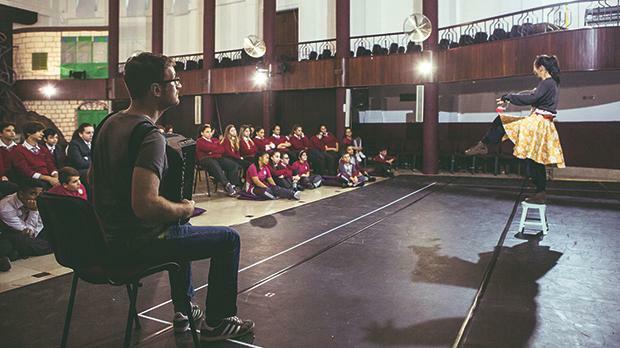 This project was initiated by Teatru Malta and Image Aiguë in collaboration with the French Embassy and Valletta 2018. The show features music by accordionist Gérald Lapalus. 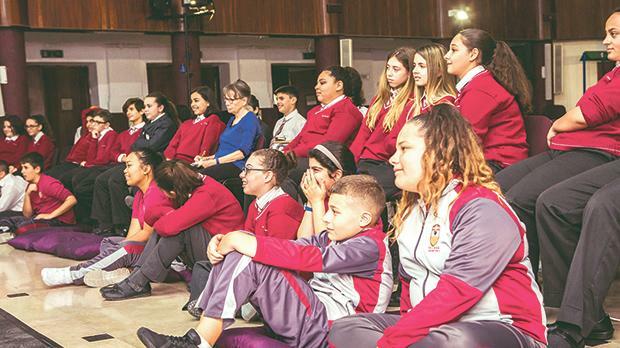 A group of students from San Ġorġ Preca College Ħamrun Secondary School listening to artistic director Christiane Véricel during a workshop. Frédéric Perigaud performing with one of the students. Students amused by the performance.